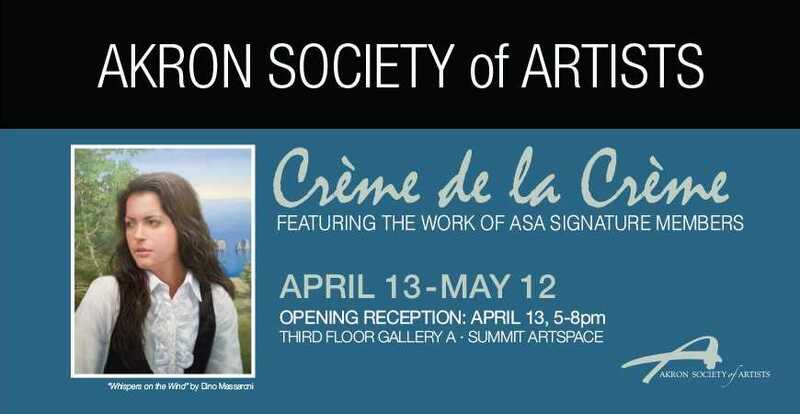 Crème de la Crème is an exhibition of the work of Akron Society of Artists’ Signature members. For over eighty years the organization has been raising the level of artistic expression in the greater Akron area. Members are awarded signature status after exhibiting an outstanding caliber of work and dedication to the organization over an extended period of time. This exhibition will highlight those members one-of-a-kind works in various media and styles.